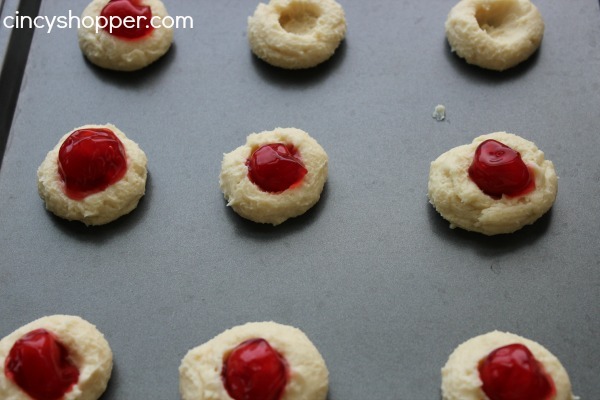 Oh my this Cherry Thumbprint Cookies Recipe is my favorite I have made this year. I will be honest I have been so busy with getting ready for the holidays and cookies has been one of my main concerns. I wanted to have a nice variety of cookies put away for when we have family and friends over for the holidays. I normally make these thumbprint cookies with raspberry filling but this year I had some cherry pie filling left from our Thanksgiving meals and I did not want it to go to waste. Wow, I am so glad we bought extra pie filling. 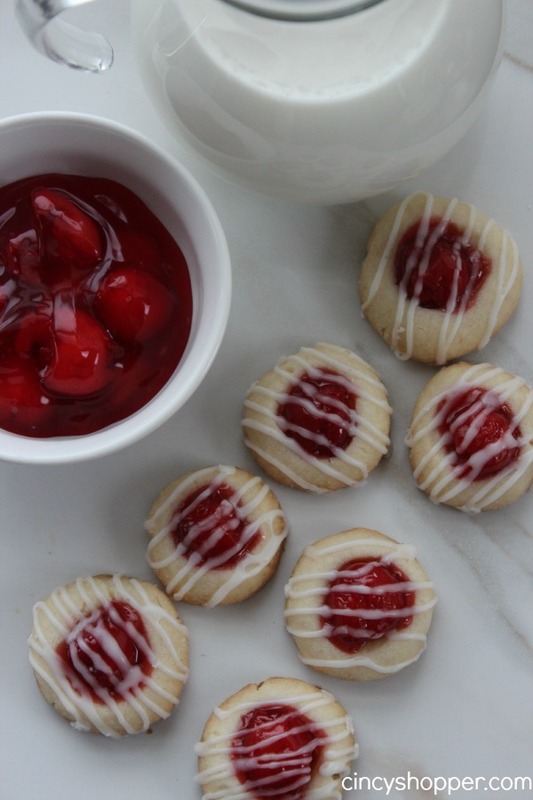 This Cherry pie filling just took these simple thumbprint cookies to a whole other level, ha ha. I think I will be making another batch for guests as I have consumed almost the whole batch. They are great with milk, with coffee, heck I think they would go great with just about anything ha ha! 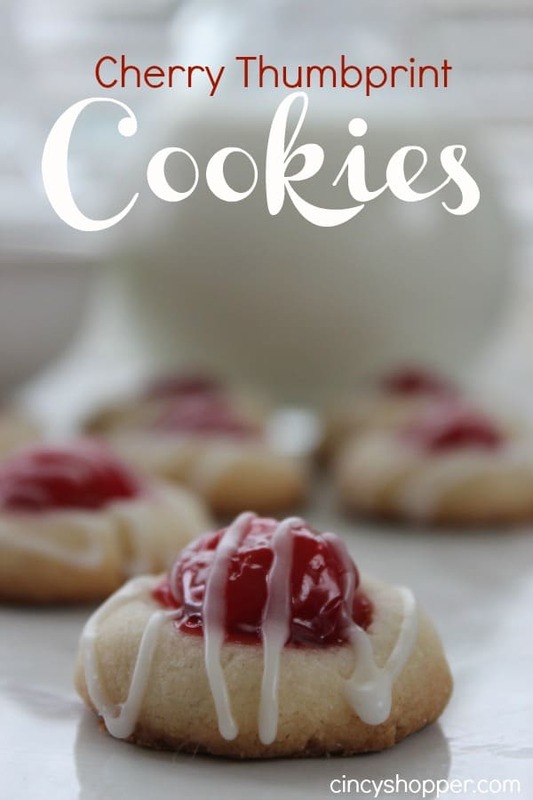 If you are looking for some yummy cookie recipes you need to be sure to give this Cherry Thumbprint Cookies Recipe a try. You will not be disappointed, I promise. They are so simple to make and look just too cute and delicate at the same time. You can add whatever type of jam or I highly suggest pie filling as it provides a perfect combination. Mix in flour (dough will look crumbly). Roll dough into round balls and place on an ungreased cookie sheet. 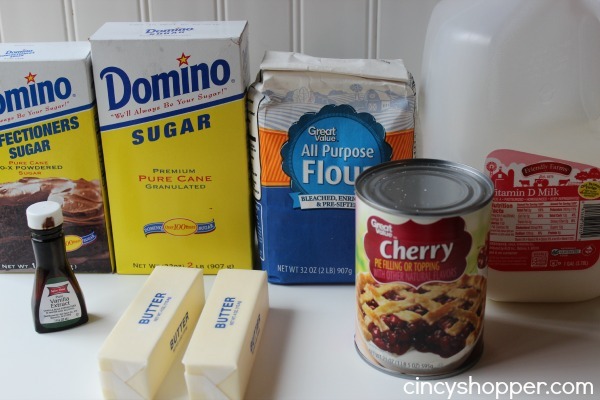 Make thumbprints in each dough ball and fill with your a cherry from the pie filling. Bake for 15 mins until edges start to get lightly brown and cookie sets up. Allow to cool on cookie sheet for 15 minutes. Mix powdered sugar with milk to make a thick glaze. Place in corner of zipper bag and clip corner to pipe. Pipe perpendicular lines across cookie to decorate. I really liked how bright and colorful the cherry pie filling looks in this basic cookie. It really dressed them up quite well. 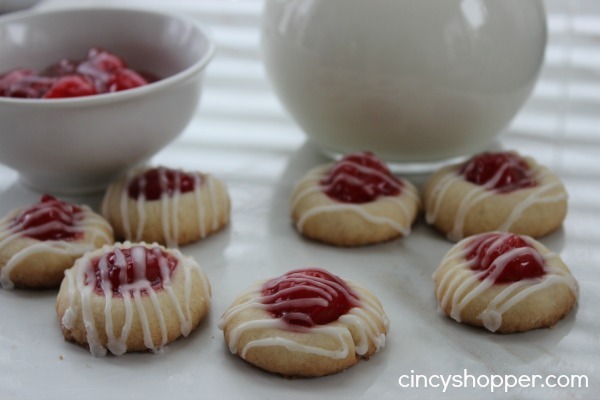 All in all I think this Cherry Thumbprint cookie has now become one of my favorites. I think it is great for the holidays and all year long. If you are looking for a yummy and unique cookie to share at the office or with family and friends consider making these Peppermint Kiss Cookies. They are not only adorable but tasty too! Looking for other holiday cookies and treats? If so, be sure to check out all the Holiday Creations I have shared with you here.